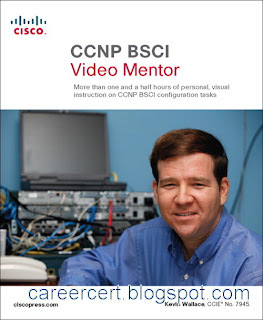 CCNP BSCI Video Mentor is a unique video product that provides you with more than one and a half hours of personal visual instruction from senior instructor Kevin Wallace. 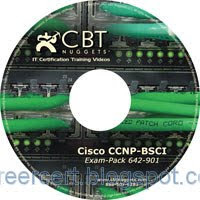 In the four lab videos, Kevin walks you through intermediate-level Cisco router configuration topics that cover the most important objectives on the CCNP BSCI exam 642-901. 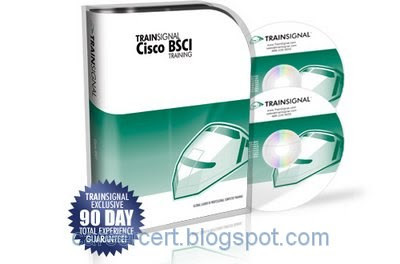 Nearly 21 hours of hands on training covers Cisco Routing and the 642-901 BSCI Exam. Are these videos cracked or you bought ? This site works perfectly with Opera ! I think you should update your browser. I am very thankful for providing All Cisco videos, and i am very thankful to Jeremy expecially….. So that i can ask some in debth videos of Redistriburion and IP SLA of , because recently i started BSCI study…. So, Please , Jeremy can you help me regarding these video, and send me a link….I am very thankful to you..
Our faculy is not able to teach Redistriburion and IP SLA chapters , and even Lab also not good. So please help me..
You should download all parts and place them in same location. Now extract first part. It will automatically extract all other parts and become a single folder. I just checked and rar part 2 is downloading fine !! i downloaded bsci CBT videos but always getting archive damage after download, tried difference pc same problem. actually i haven't seen top of this forum…now get that video…Thank You very Much…. Did you download both parts ? You should place both parts in same location and then extract the first part only. It'll become a single folder after that. Also if you didn't install the included sothink flv player then the videos might not play. coz some flv players can't play them. I hae downloaded video mentor and I also have flv player. I am dragging files to flv but its not opening. The problem is when I am right clicking on videos also its not giving option open with,its gives extract and all the optins as rar file. Which video have you downloaded. Is it video mentor, CBT or Train ? For video mentor you should install the included flv player first. I have downoloaded videos for the first time. After extracting when I am clicking videos to open, it says to specify the opening folder. I have tried different options like inserting blank disc also. Can you please give the steps to open it. Nope! Its a Production defect. is there any solution of blackouts. No mate, video 24 is running fine. It can't be corrupt. I think you are talking about those blackouts which occur two or three times during playback of this video. If yes then its normal. hi, is it possible that video 24 is also corrupt on the BSCI CBT's. its corrupt on my pc.